The ultimate analysis of Sun Tzu’s famous work, The Art of War. THE ART OF WAR has been successfully adopted to all forms of warfare, business, sport, law and politics. It has transformed people´s lives by providing them with the key resources needed to unlock success. 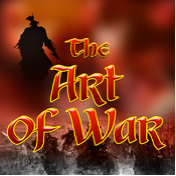 For the first time The Art of War is now presented on video, featuring some of the world´s foremost experts as the secrets of this astonishing work are explained and revealed. The concepts are timeless… and they work.